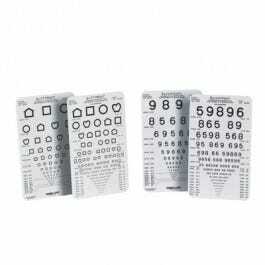 52193 LEA Symbols Near Vision Pocket-Size Card - 3 3/4" x 6 1/4"
52281 LEA Numbers Near Vision Pocket-Size Card - 3 3/4" x 6 1/4"
Use these small pocket cards to quickly determine whether a child's visual acuity is within the normal range. LEA Symbols Card Proportionally-spaced lines on one side and 50% spaced rectangle (Massachusetts Visual Acuity Test format) on the opposite side. Line sizes from 20/400 to 20/10 (6/120 to 6/3) equivalent. 3.75" x 6.25" (9.5 cm x 15.9 cm). 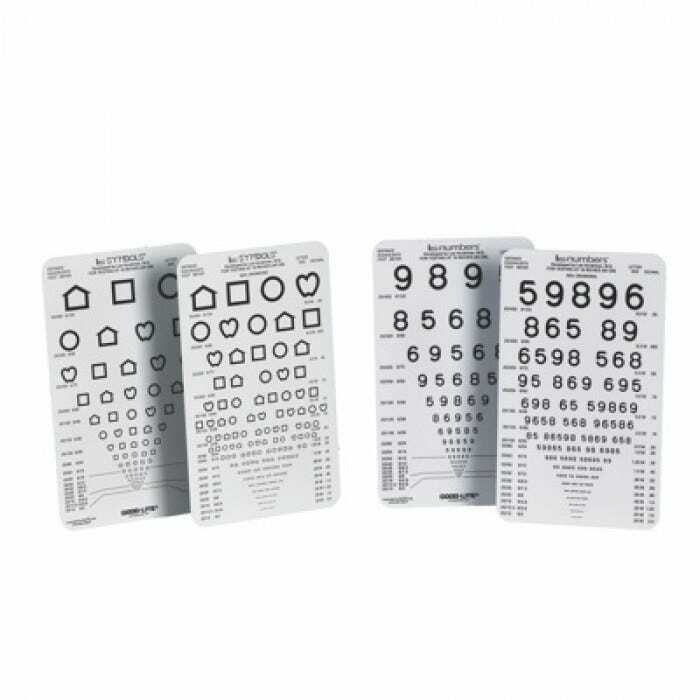 LEA Numbers Card The test has proportionally-spaced (LogMAR) lines on one side and tightly crowded lines (50% spacing) on the reverse side Line sizes from 20/400 to 20/10 (6/120 to 6/3) equivalent, 0.05 to 2.00. 3.75" x 6.25" (9.5 cm x 15.9 cm).